How our bodies are dictates what and how we think. What and how we think dictates what we say and how we say it. 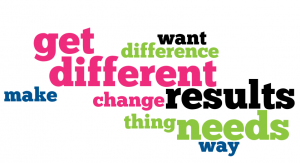 What we say and how we say it dictates the results we get. And reverberating around the world can be heard – But that’s not what I meant! [that is the title of a book by Deborah Tannen] You have misunderstood me! If only you listened! Why can’t you get on the same page! As Barak Obama said in what is considered to be his best speech ‘Don’t tell me words don’t matter’ Watch this. Every word counts. Every word matters. That is so whether the words remain in your head or whether they are given form in the world either verbally or in print. Was it what Obama said or how he said it that really counted, really mattered? Listen and let us know what you think. The question is …are words innocent or are they guilty? Can words ever be innocent? Is it the words that should be on trial or …… ? And the ‘or’ is this … is it the way we say the words that counts, that matters? Is it how we interpret the words we hear or read that is the deciding factor? Is it the picture, the image, the dream that the words create that influence us? 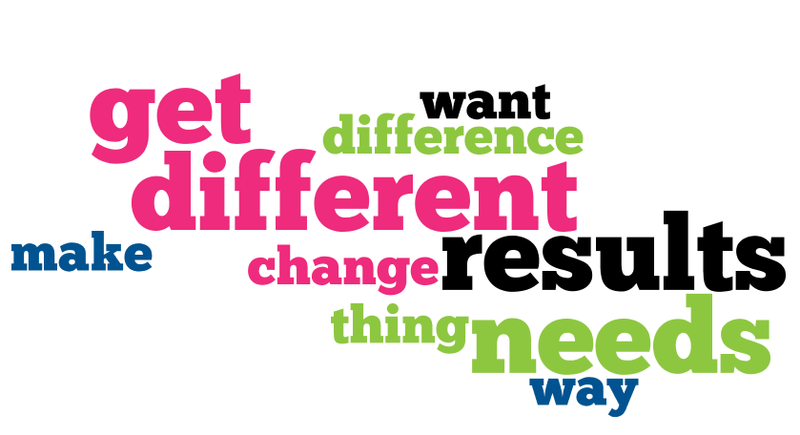 Check out how changing the words written changed the outcome dramatically. Notice how behaviour was when the words were changed. What did you see? Taking a step back into our heads: Shad Helmstetter wrote a book called ‘What to say when you talk to yourself’. He asserted that where we need to start is with the continuous loop soundtrack that plays in our head. To check it out and discover exactly what we are telling ourselves all the time. To check out whether what we are telling ourselves is fact or fiction. To check out if indeed what we are telling ourselves is our stuff or what someone else has, sadly with our permission, planted in our consciousness. How often do we clutter clear our brains? We pay more attention to our laptops, PCs, mobile devices, making sure they are clean, safe from cyber-attacks, defended against Trojan horses, inoculated with something like Norton against viruses than we do to the magnificent organ that is our brain. We dutifully bring everything from the moment of our birth – even when we were in vitro – without checking whether it is relevant, fit for purpose, in service of our best selves or even necessary. Then we wonder why we have challenges with communicating clearly and effectively! • Body Language accounts for 55% of the overall message. And when all are in alignment from the speaker communication is relatively easy with the interpretation of the hearer being the influencing factor. When any of the 3 aspects are out of alignment communication is a challenging process certainly. For example when the words are positive and the tone of voice anything but or the tone of voice is upbeat with body language anything but. What we say is what we make happen. What we think is what we create. As always it is our choice. Thinking, wishing, hoping that everyone out there will change to make it OK for us is a delicious dead end. Knowing and really understanding that, once we decide to change W H Murray asserts that ‘All sorts of things occur to help one that would never otherwise have occurred.’ Once we get that by changing our mind set, by definition everything out there has to change. Once we truly get that by taking responsibility for our thoughts, beliefs, patterns, habits, actions, words, behaviours, ditching permanently those that no longer serve us, we can change our world significantly. Goethe wrote ‘Whatever you can do or dream you can, Begin it. Boldness has genius, magic and power in it Begin it now!